Canton is one of Michigan's fastest growing communities with a population of over 90,000, and with good reason! It is home to vibrant arts and culture, upscale shopping and dining, a vast array of entertainment and recreational opportunities, and much, much more! Location: Canton is conveniently located close to several major expressways and within 8 miles of each of Detroit and Ann Arbor. It is also less than 10 miles to Detroit Metropolitan Wayne County Airport, Michigan’s largest airport. Education: Evergreen Homes’ communities are all served by the highly-acclaimed Plymouth-Canton Community Schools. And for those pursuing higher education, Canton is also conveniently located within a short commute to many of Michigan’s most highly-esteemed colleges and universities including: the University of Michigan, Eastern Michigan, Wayne State University, Lawrence Technological University and Oakland Community College, to name a few. Arts and Culture: The Village Theater, a 400 seat premiere performing arts center at Cherry Hill, is a multicultural community events center operated by Canton Township. 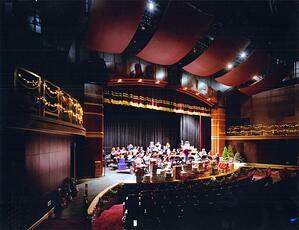 Canton locals often visit this cultural gem to take in a live show, art exhibit, or live concert. Restaurants: Canton offers a wide variety of traditional restaurants, as well as unique specialty restaurants, featuring a diverse array of cuisines for every taste. Check out Evergreen Homes’ list of some of our favorite places to eat in Canton, Michigan! Shopping: Canton’s vibrant Downtown Development Authority District features over 300 retail, commercial and medical facilities, along Canton’s main retail corridor, Ford Road (Target, Kohl’s, Meijer, Lowe’s, Bed Bath & Beyond). In addition, Canton proudly boasts that it is home to Michigan’s only IKEA store (one of the world’s largest home furnishing stores), drawing visitors daily from near and far. 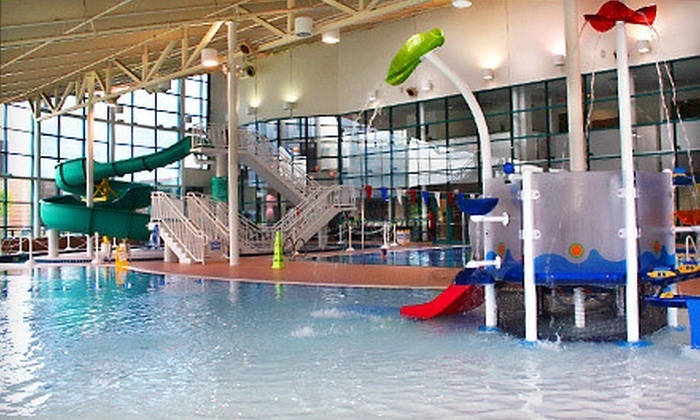 Recreational Activities: If you are one of the more active types, you will appreciate the Summit on the Park and Canton Sports Center, each operated by the Canton Leisure Services, as well as local golf courses like the pristine Pheasant Run Golf Course, numerous hiking trails, and parks. Canton also offers a variety of health clubs and gyms to fit everyone’s needs. High Velocity Sports is Canton’s premier indoor sports complex. Entertainment: Old and young alike will find plenty of entertainment in Canton, Michigan, like Emagine Theater, Sky Zone Trampoline Park, Zap Zone, and Arctic Edge Ice Arena (home to many Olympic greats). Special Events: The Canton Liberty Fest is one of the most anticipated family events of the year. The township puts on a week of events and attractions in beautiful Heritage Park right in the heart of Canton, Michigan. The event features carnival rides and games, live concerts, a movie under the stars, fireworks, a variety of food and beverage options, a family fun run, and many other family activities. Residents also look forward to attending events like Canton’s festive 4th of July celebration and the Canton Farmer’s Market, which is open from May through October. It is easy to see why so many families are flocking to this wonderful community filled with big town opportunity, but small town charm as well. Home to countless large and small businesses, a vibrant dining, shopping and entertainment scene, beautiful parks, and seasonal events and gatherings, Canton, Michigan is the perfect community for your family to put down roots!